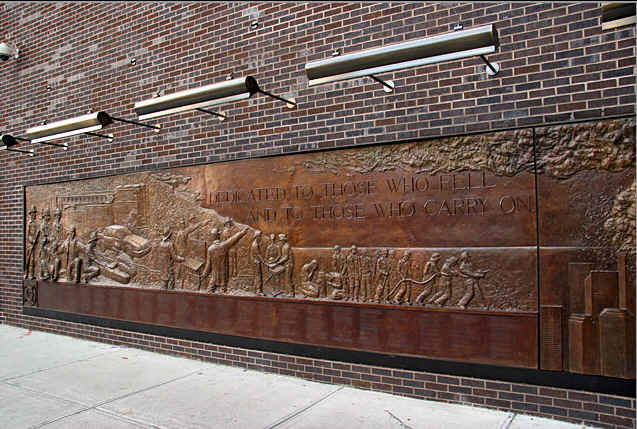 9-11 Memorial Wall, a Gift from Holland & Knight, Honors Members of the New York City Fire Department and Holland & Knight Partner Who Perished on 9-11-2001 Located at FDNY Engine Co. 10, FDNY Ladder Co. 10, 124 Liberty Street, New York City. The FDNY’s death toll on 9/11 was 343, and the number from 9/11 continues to rise. 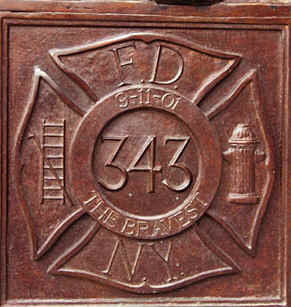 Since 9/11, 55 members of the fire department have died from illness connected to September 11,2001. 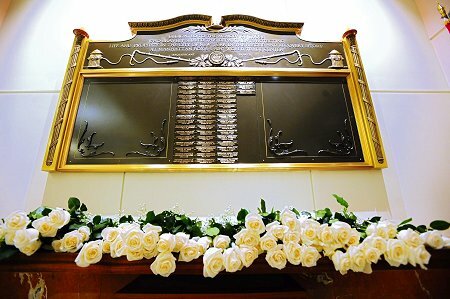 A Memorial Wall listing the names of 55 FDNY members who died in the last 10 years due to World Trade Center-related illnesses was unveiled at FDNY Headquarters on Sept. 8,2011. "This plaque reminds us that 9/11 was not a single event or a day on the calendar, but something this Department faces on a daily basis," said Fire Commissioner Salvatore Cassano. 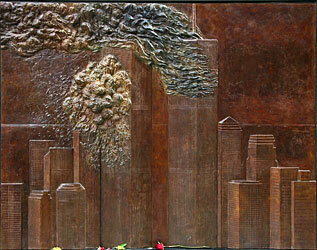 "The sacrifices made by members of the FDNY on that day will continue for years to come." The members on the Wall died of illnesses related to their work at the World Trade Center during and after the attacks of Sept. 11, 2001. The Commissioner noted that two more were added in the week leading up to the ceremony. "With this Wall, we're making a statement that the sacrifices our members made on Sept. 11, 2001, did not end on that day," said Chief of Department Edward Kilduff. "The work they did was noble and selfless. We gave on 9/11 and we continue to give to this day." 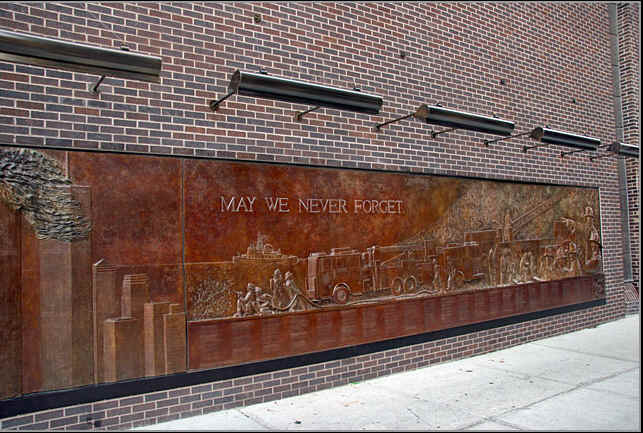 The inscription on the Memorial Wall reads, "DEDICATED TO THE MEMORY OF THOSE WHO BRAVELY SERVED THIS DEPARTMENT PROTECTING LIFE AND PROPERTY IN THE CITY OF NEW YORK IN THE RESCUE AND RECOVERY EFFORT AT MANHATTAN BOX 5-5-8087 WORLD TRADE CENTER."